I’m back! Sorry for the extended absence. I’ve been on the fast-track for the last couple of months, and I’m now looking forward to getting back to Insights. Let’s get started with asking you this: when was the last time you shared a positive shopping experience with a friend? How about a negative one? How many friends or colleagues did you share your story with? When thinking about your last great shopping experience, was it a familiar store, or was it a new retailer that you tried for the first time? What made the experience stand out? More important, will you go back? Chances are good that you can remember the last negative shopping experience you had. It’s easier to remember, right? I’m sure you shared this event with friends and family. My guess is you won’t be returning anytime soon. The relationship you have with every business you support is predicated on experiences, big, small, important or trivial. And that relationship is exactly what brings you back or prompts you to take your business elsewhere. Have you ever seriously thought about why you frequent the same butcher, grocery store, or building supply store? What do they do that keeps them top-of-mind? Maybe it’s just a friendly greeting or nod when you enter their store. Maybe you trust them to give you good advice and service. Maybe they take the time to understand how they can help you get what you’re looking for. The point is, they are there for you when you need them. Simply put: great customer experience guarantees loyal customers who are advocates for your business. Poor customer experience means your customers will look for a better alternative. Your customer service may be excellent, but service excellence is only one, albeit crucial, part of customer experience. 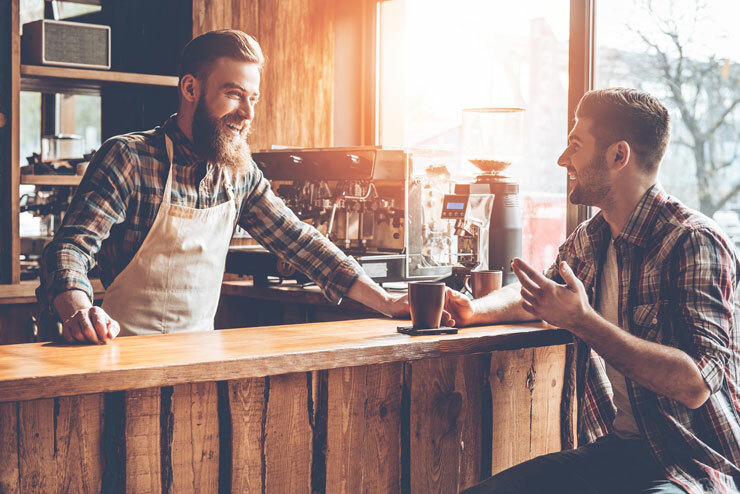 The feeling customers get when they walk in, the ease they find information online or via mobile apps, the products you carry (or don’t), your service culture and the trust you cultivate with them — these are all part of their overall experience. The 21st century is all about the customer experience. International studies by Oath — the new umbrella company for AOL and Yahoo! brands — highlights six key drivers for customers’ loyalty or “brand love”1: exceeding needs, building trust, setting trends, sharing values, respecting consumers and elevating experience. Of all the drivers referenced above, overperforming and overdelivering was found to be the most important. I agree. 30% of brand love — even more in Canada — is based on exceeding consumers’ expectations, and an obsession with giving customers what they want, even before they ask for it. Think back to your last great customer experience? Did it go beyond what you’d experienced elsewhere? In a world rife with stories of fraud, identity theft, bad business practices and compromised private information, trust is an increasingly rare and valuable attribute. As the Oath report suggests, earning trust — representing 24% of the contribution to brand love in Canada — requires building a personal relationship. How are you striving to build a more personal relationship with your customers? Is it the power of thank you for their business? Maybe greeting customers by name or inquiring about their last purchase. It’s a great way to exceed expectations. Always remember: trust is hard-won and more easily lost. This is an often-overlooked area of customer experience but becoming particularly important in today’s business climate. Modern customers want to deal with companies they see as just and fair. Such as being transparent with customers, charging a fair price, and being respectful. Other key issues include being socially responsible and connecting with your customers’ values. For example, Oath’s Brand Love Index study found that 69% of consumers surveyed expect the brands they love to publicly support equality and diversity. Consider how your customers’ values impact your business. For example, the importance of stocking environmentally friendly products, or the charity and volunteer programs you and your employees commit to. But why? What’s so important about customer experience? Remember that terrible experience? Did you say something about it? Did you tell the business owner or ask for corrective action? You might have, but if you are Canadian you would be in the minority. According to technology and business consultancy Accenture, we Canadian’s usually don’t complain about poor experience. Their Global Consumer Pulse Research study2 found that in our habitually polite fashion, half of us simply move our business elsewhere. It’s what the firm calls “silent switchers” and we typically don’t bother to tell them why. What’s more, the survey found that Canadian customers are even harder to win back once lost. Eighty percent of Canadians said their business relationship could have been saved. However, more than two-thirds (68%) said they were unlikely to ever come back. That’s 10% higher than the more-forgiving global average. The loss of a customer can be costly, but negative word of mouth is far worse. We Canadians are somewhat less likely to gripe on social media, according to Accenture, but make no mistake we complain — to our friends and family. And in today’s economy word of mouth spreads far, wide and at breakneck speeds. With that in mind, ask yourself: What kind of experience do you want each of your customers to be sharing with their friends and business colleagues about you?